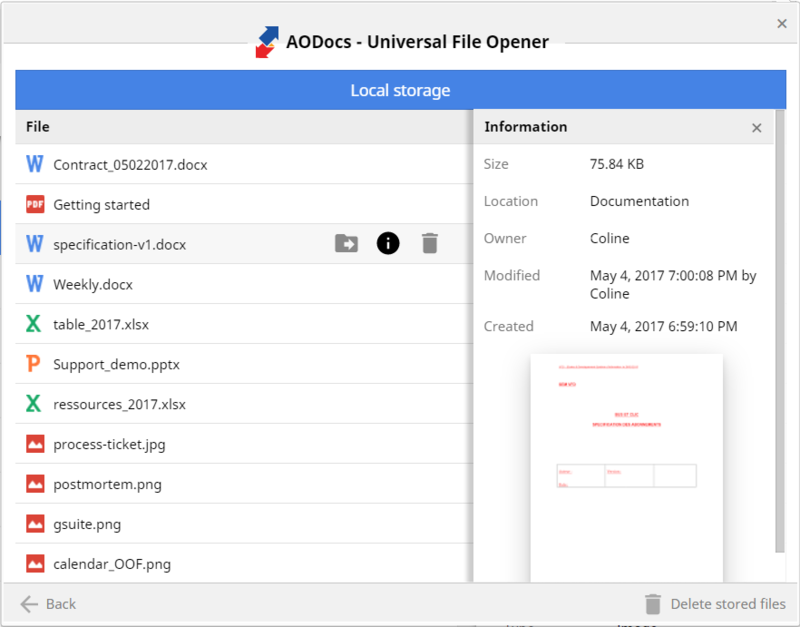 We are pleased to announce a new version of the Universal File Opener! A big thank you to all our beta users who have sent us their feedback. Below you will find the improvements and bug fixes in UFO Version 0.12. In response to the feedback from several of our customers, we decided to change the behavior of the UFO button. It now behaves like the Smartbar buttons, and appears on the line when hovering over the file. You can also find more information like location, owner, creation date, modification date, and a thumbnail (if available). To keep the size of the local cache under control, the UFO will keep only the 100 most recent files in the local storage, and will automatically delete files that have not been modified locally in the last 30 days. Renamed files in Drive will not trigger an error notification when edited. Chrome OS users will not be prompted to install the client (Chrome OS is still NOT supported).